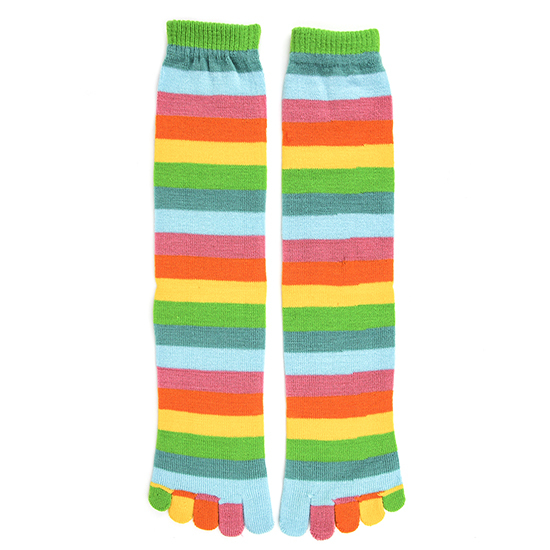 Citrus stripe toe socks have a great pallet of bright pastel stripes. 20 Stripes from the toe to the knee will put you and everyone you meet in a happy mood. Our Foot Traffic citrus stripe toe socks will be a favorite in your sock collection. Love them, they are perfect, warm, long like I like them. My favorite from all the 5 pairs that I got.